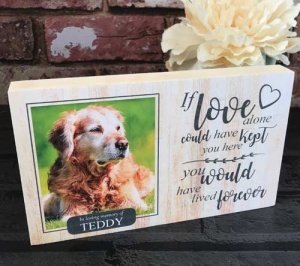 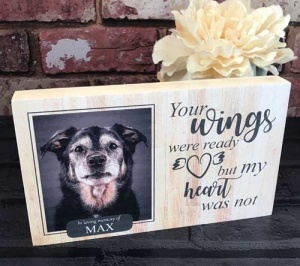 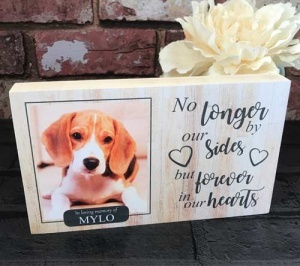 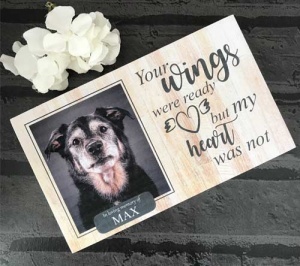 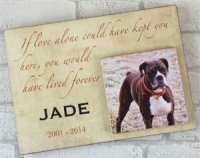 These beautiful dog memorial blocks are personalised with your dog's name, their photo and a lovely memorial phrase from a choice of 5 text options. 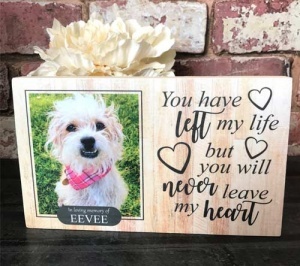 Made from quality, hand-cut pine. 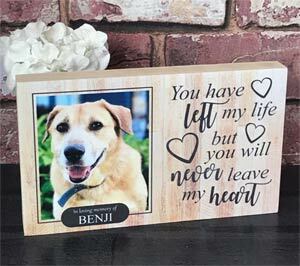 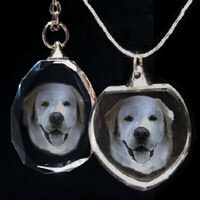 A unique and wonderful memorial to a beloved pet. 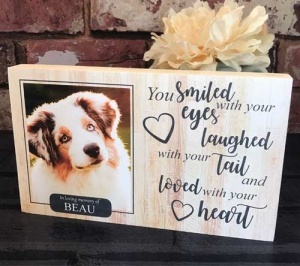 Simply upload your chosen photograph when you order, enter your dog's name and choose your text from the options provided. 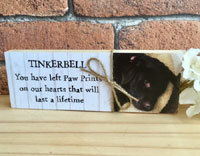 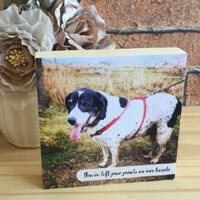 These wooden keepsakes are made from chunky pine so are free standing. 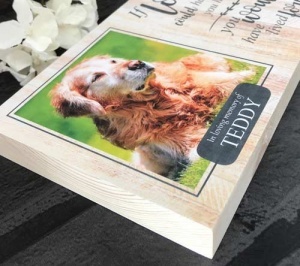 The image is printed and adhered to the wooden block before being covered with a protective layer to keep it looking fresh. 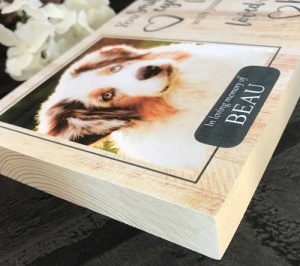 The blocks have a contemporary, shabby chic wooden pattern background.